Good news, race fans. 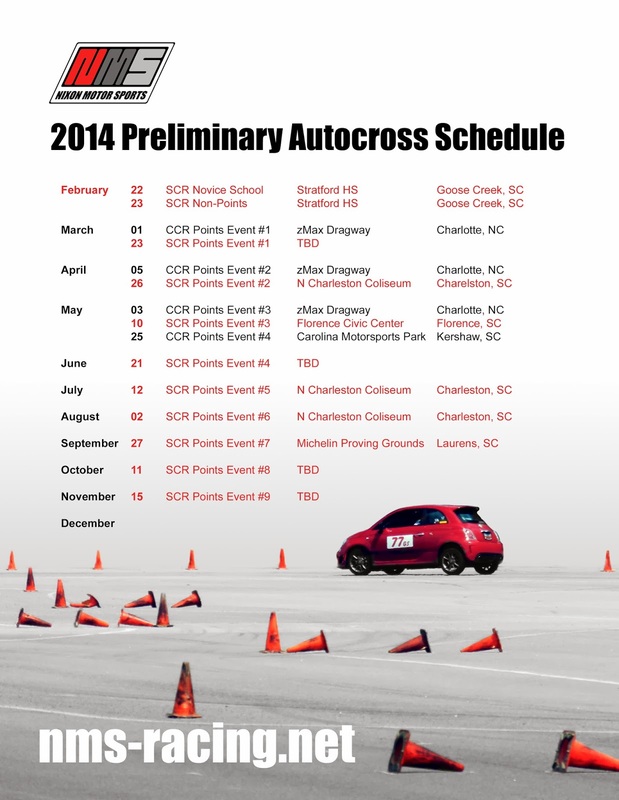 The 2014 SCR SCCA autocross schedule was released today. All dates remain tentative but the team is beginning to build their season schedule and travel plans. This year there are are a greater number of CCR events that may be attended as well. Here's a preliminary snapshot of the wheel-to-cone racing action for this upcoming season at NMS. The SCR calendar's latest updates can be found here. Season 3 of "Comedians in Cars Getting Coffee"